Once again, it's like James Harden and I are outfit telepathic. I'm totally into plain white tees and layering delicate gold necklaces. 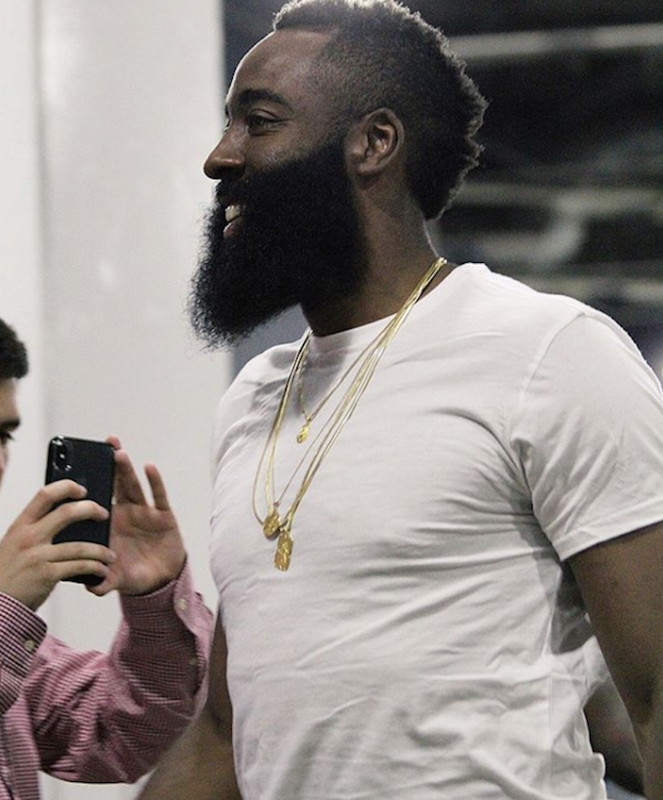 I vote James Harden for style MVP.